Our Thai greeting to all our guests. In English “sawadee” means “pleased to meet you”. 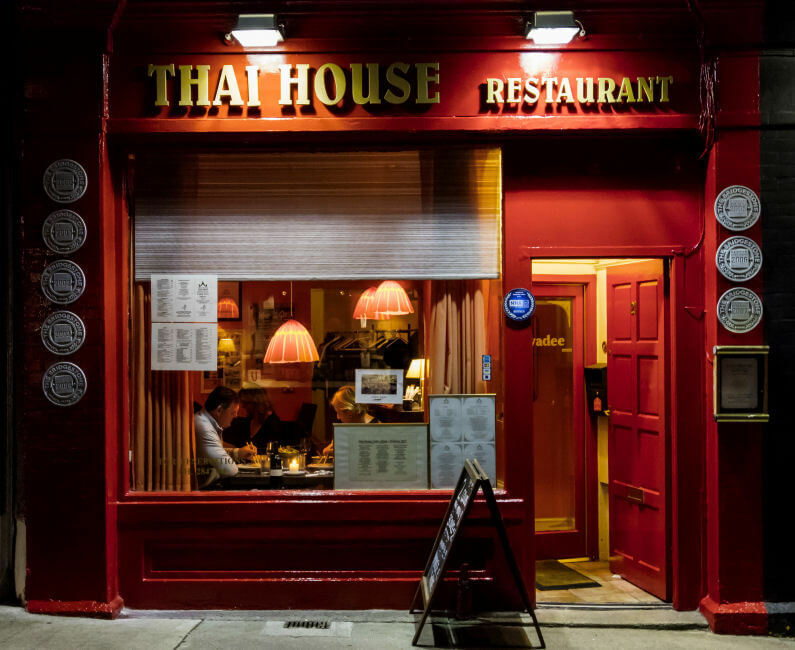 The Thai House Restaurant in Dalkey aims to bring a flavour of real Thailand to Ireland, both in our cuisine and ambience. 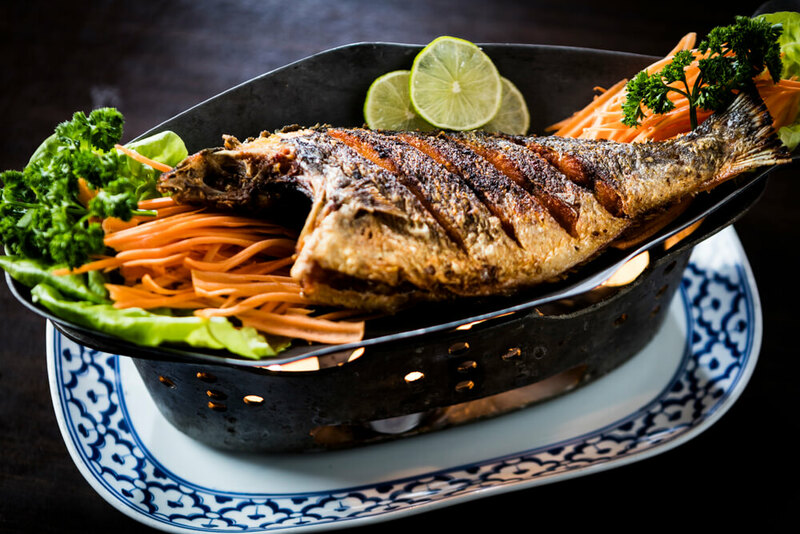 I was born in Bangkok and learned all of my cooking skills from my mother – truly a great cook and a wonderful person who embodied all that is wonderful about Thailand – Land of the Smile. 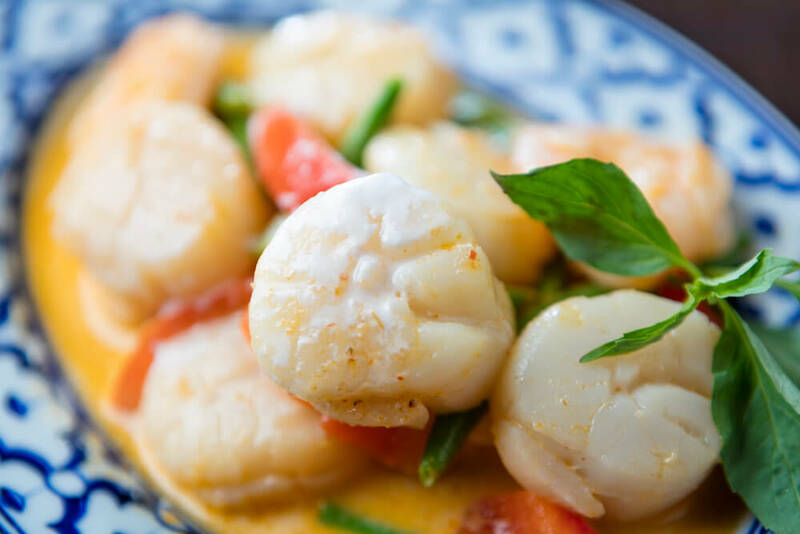 To many Irish people Thai cuisine is a new and mystifying experience. 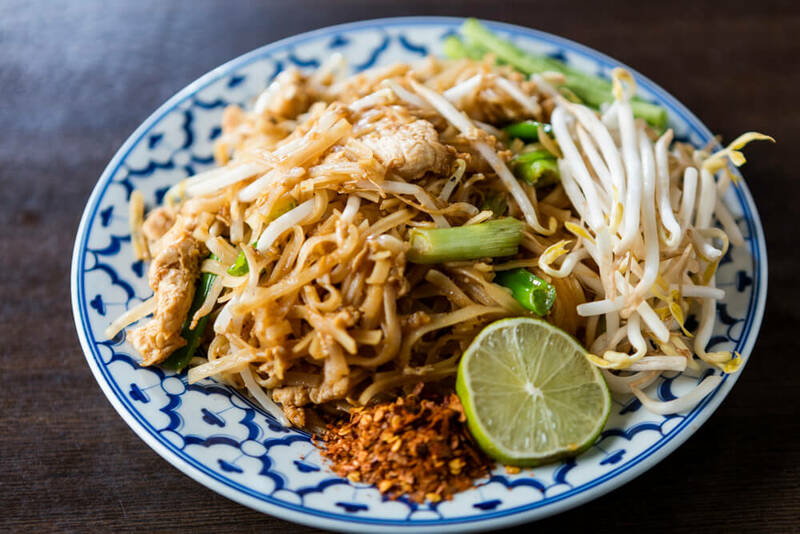 There is a belief that all Thai food is very hot. This is far from true – while some foods are hot and spicy, many are simply bursting with wonderfully exotic herbs. Never hesitate to ask us about the various dishes on our menu – by doing so you can journey through a kaleidoscope of flavours. 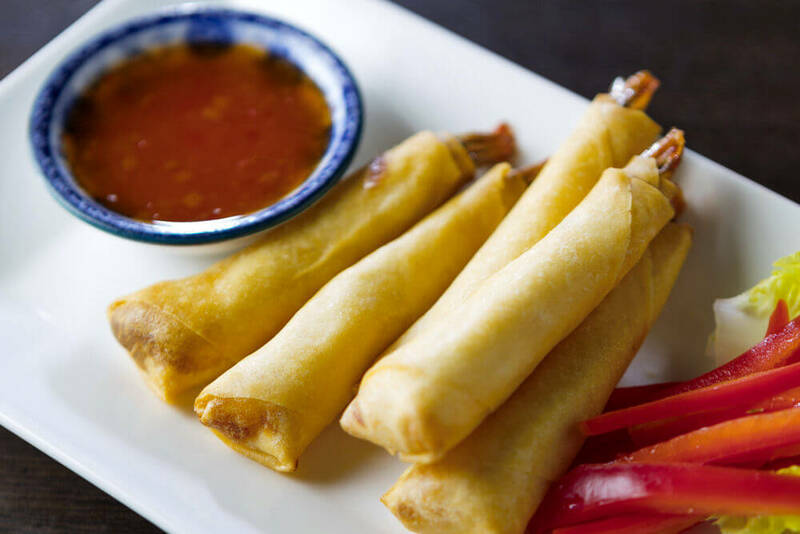 Try our set menus for a sample of different styles. I have been living in Ireland now for the last eight years and have noticed a great similarity between our two nations. We both love to enjoy ourselves, or as we say in Thai, “mi sanuk maa” (have lots of fun). Hopefully that is what you will have in our restaurant.
! 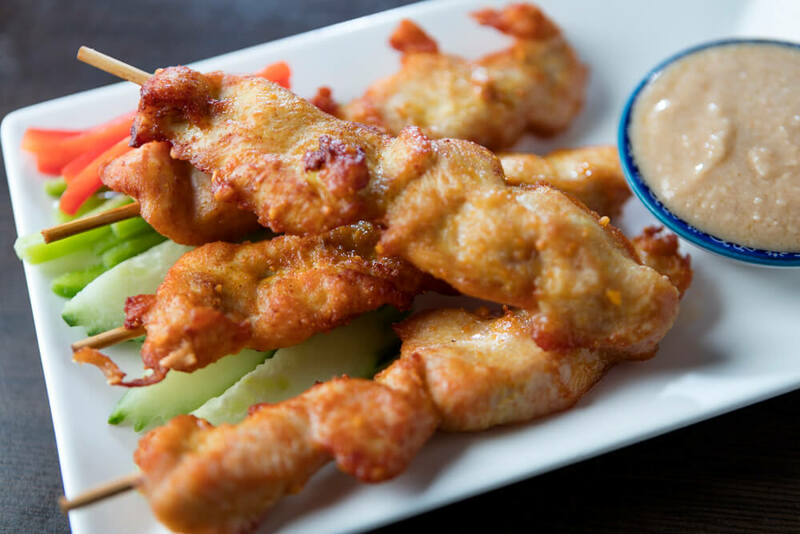 ALL OUR FOOD IS FRESHLY PREPARED WHEN ORDERED ! 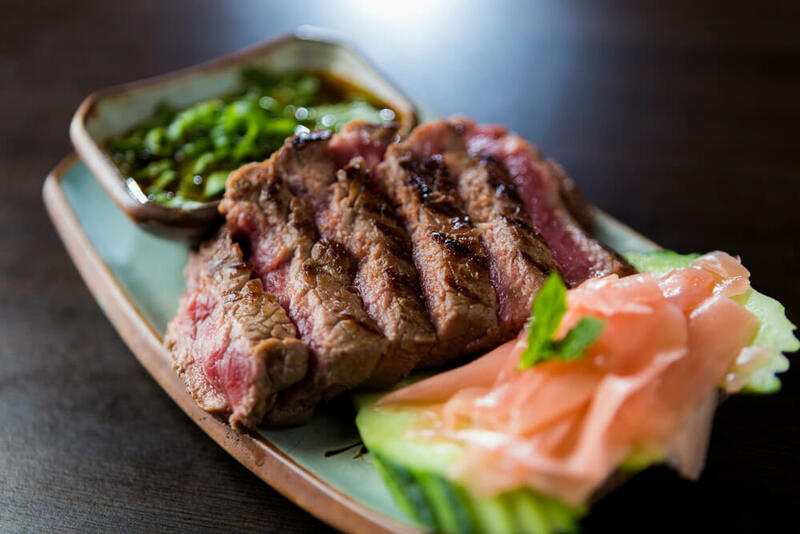 We have gluten free soy sauce suitable for coeliacs – just ask! ALL OUR BEEF IS IRISH AND TRACEABLE! 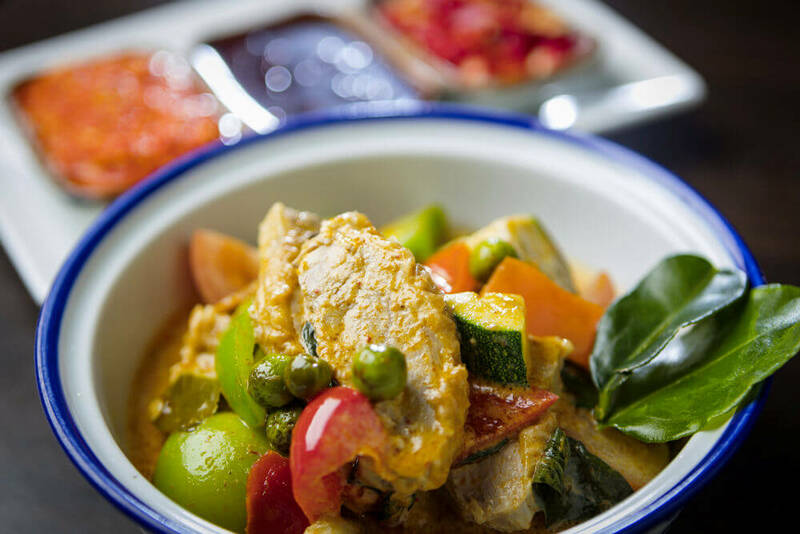 All our curries are made mild to medium heat. If you would like extra mild or extra hot, just ask when ordering. All below with coconut milk. 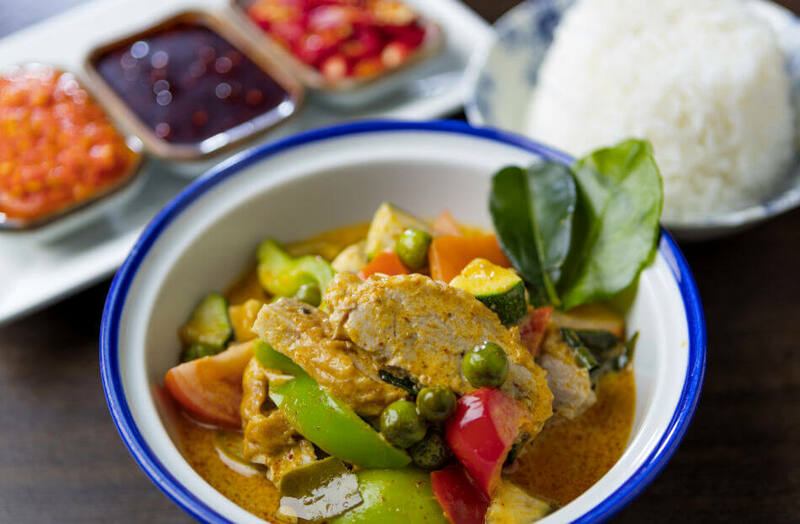 Above curries served with Jasmine steamed rice – fried/brown rice €1 extra! 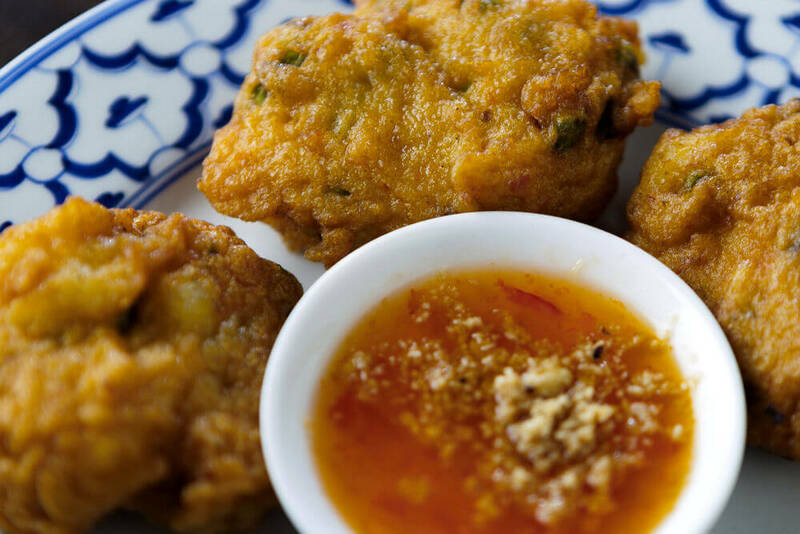 Following dishes are fried with only sunflower oil to retain their lightness. MILK PRODUCTS FOR CLEARING THE WINE/BEER. 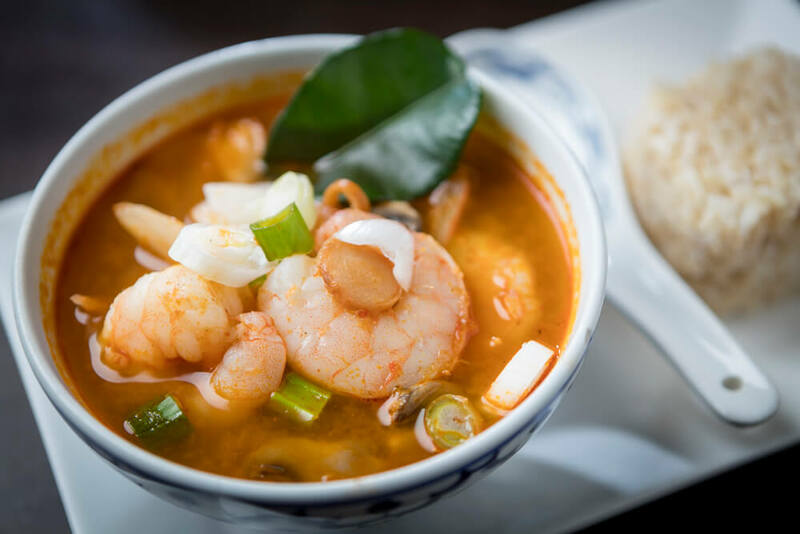 spicy prawn + lemongrass soup. vegetarian option available. chicken, ginger + coconut milk soup. 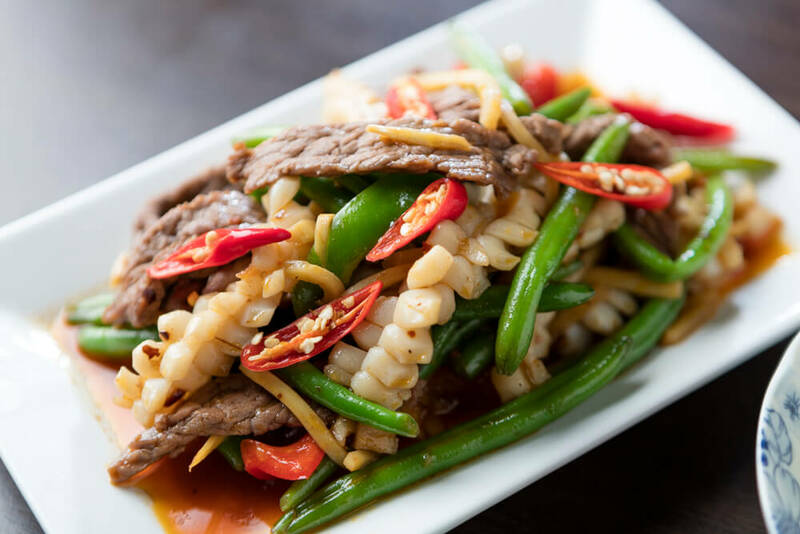 Mains come with steamed rice, fried rice or chips (except noodle dishes). Groups of six or more – 10% service. "Great food and great wine! After having lived for ten years in Thailand I can assure anyone that this is simply authentic; no need to bring you own Fish sauce along. 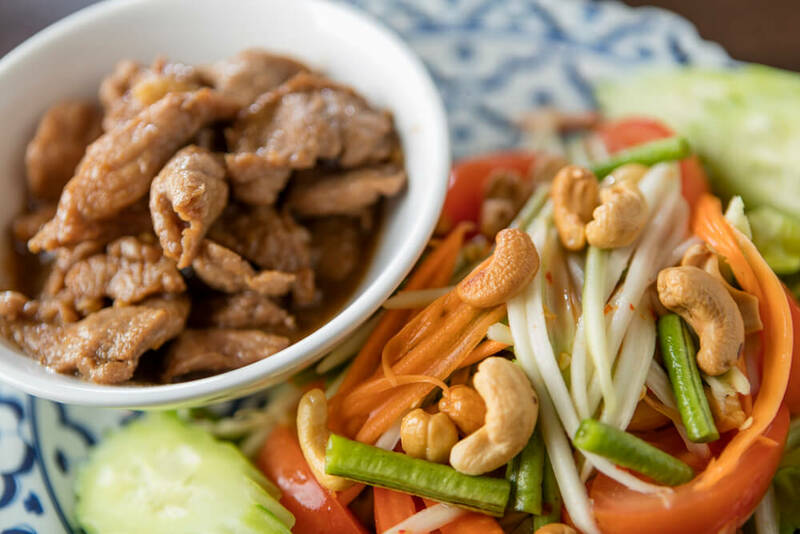 The staff are very attentive and helpful also for non Thai food specialists; individual dishes are explained in great detail so you know what you will get. 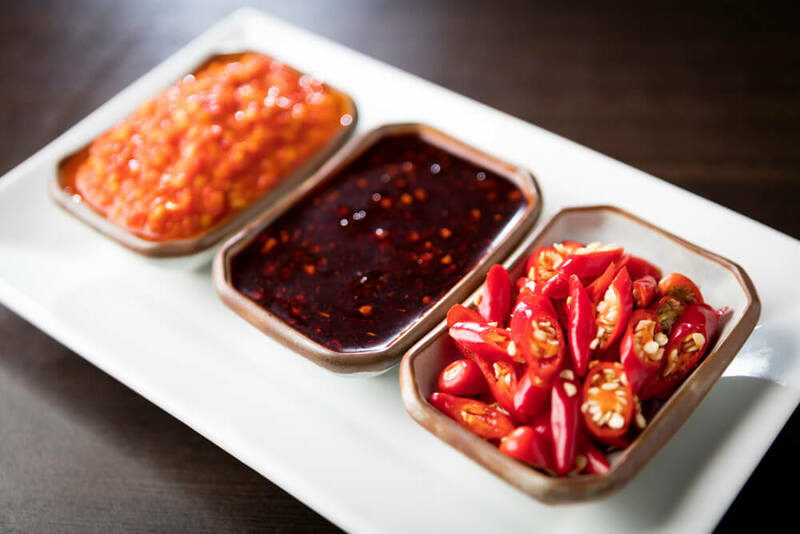 You ask for mild you will get it mild and you ask for spicy and you will get spicy as only a Thai will enjoy it." "Absolutely love this restaurant the food is great quality at a great price. I am a coeliac and they understand what needs to be modified with the food to make it suitable." I've been to this restaurant many times over the last 15 years and it has never disappointed! The food is always consistently first rate, the staff friendly and welcoming and the service impeccable!! I would highly recommend this restaurant to anyone traveling to Dublin. Egg fried rice or healthy brown rice €1 extra. HEALTHY THAI BROWN RICE AVAILABLE! healthy brown rice €1 extra. Dishes 53 to 57 supplied with steamed rice.